An alternative gateway between the European railway network and that of the CIS countries to improve traffic flow on the New Silk Road: this is the Kaliningrad route. Moreover, it is a multimodal route, offering the opportunity to continue the journey to Europe by ship. 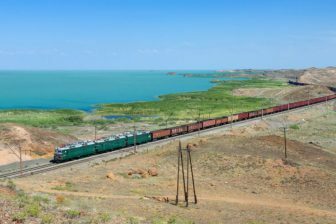 Vladimir Remizovich, key project manager at United Transport and Logistics Company – Eurasian Railway Alliance (UTLC ERA), speaks about the transit route at the New Silk Road Conference, taking place on 27 September in Tilburg. “The transit through Kaliningrad takes twelve hours, from the moment of exiting Lithuania until entering Poland. This includes transshipment at the Dzerzhinskaya-Novaya terminal”, Remizovich said. Kaliningrad lies between Poland and Lithuania, and re-routes freight trains on a 9,559 kilometer journey through Lithuania to continue on the Eurasian Rail corridor through Belarus, Russia, and Kazakhstan. Currently, the Dzerzhinskaya-Novaya terminal handles two trains per week. This can be increased as the volumes rise, because the facilities are further developed. Handling and storage facilities are being constructed, the project manager explained. 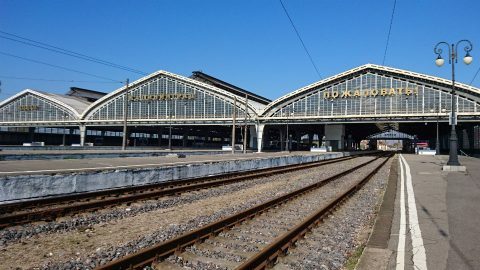 In May this year the railway route through Kaliningrad was established as a regular service. Every week, a train originated from Chongqing in China is headed for Duisburg in Germany and visa versa. Two Memorandums of Strategic Cooperation between UTLC ERA, Kaliningrad Railway and the ports of Kaliningrad were signed in February this year to ensure the inclusion of a sea link. 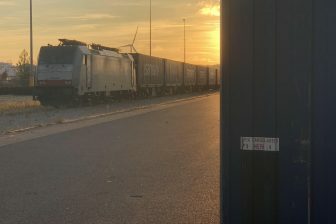 “Now it is a matter of arranging a seamless short sea connection, working as a shuttle service and without jeopardising lead times. We are currently working out the technological chain of this project with freight forwarders, ports and various shipping companies to make it a complex transit product”, Remizovich explained. 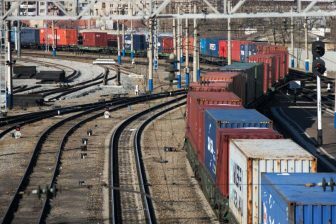 UTLC ERA, Kaliningrad Railroad and the Association of Exporters AEKS signed a Memorandum of Cooperation on the arrangement of container transshipment at the terminals of Dzerzhinskaya-Novaya and Chernyakhovsk on 5 September, at the Eurasian Transit Forum held in Kaliningrad. “This agreement is a continuation of the work on launching a new direction of transportion, said Alexey Grom, the president of UTLC ERA. UTLC ERA opened the new railway transit route in the third quarter of 2017. A pilot run was carried out on 25 September and in December 2017 additional test trains proceeded. 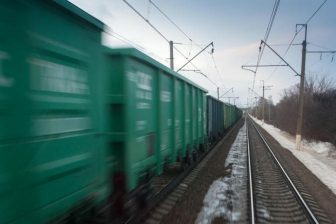 Since regular service was established, nearly 3000 TEUs were moved through the territory of Kaliningrad. Do you want to hear more about the Kaliningrad route, or other connections on the New Silk Road? The latest developments will be discussed at the New Silk Road Conference on 27 September in Tilburg, the Netherlands. More information about this conference can be found here. Here you can register for the event.